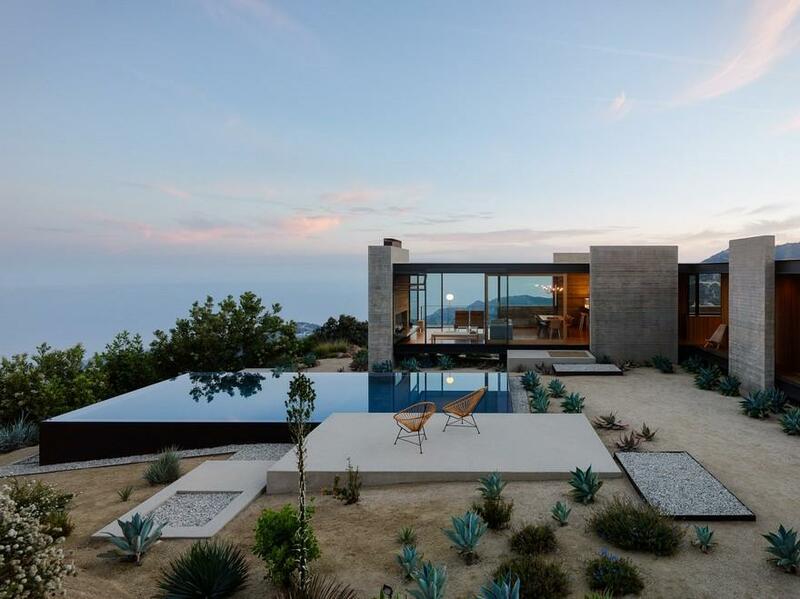 This one of a kind Modernist home design rests atop a plateau of Santa Monica’s Topanga Canyon, California. 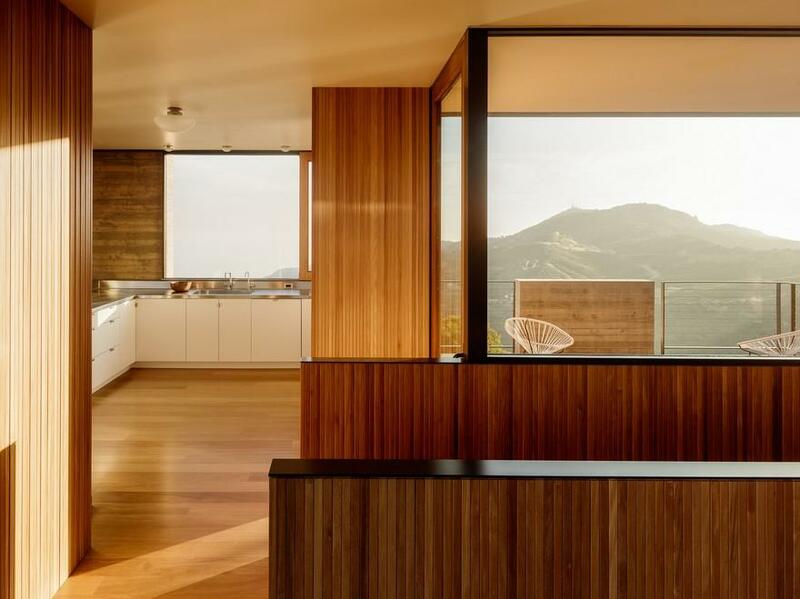 Completed in 2017 by Sant Architects, this Saddle Peak House is uprisen on a ridge, overlooking a stunning view of the Santa Monica Mountains and pacific ocean, which stretches out in the distance. 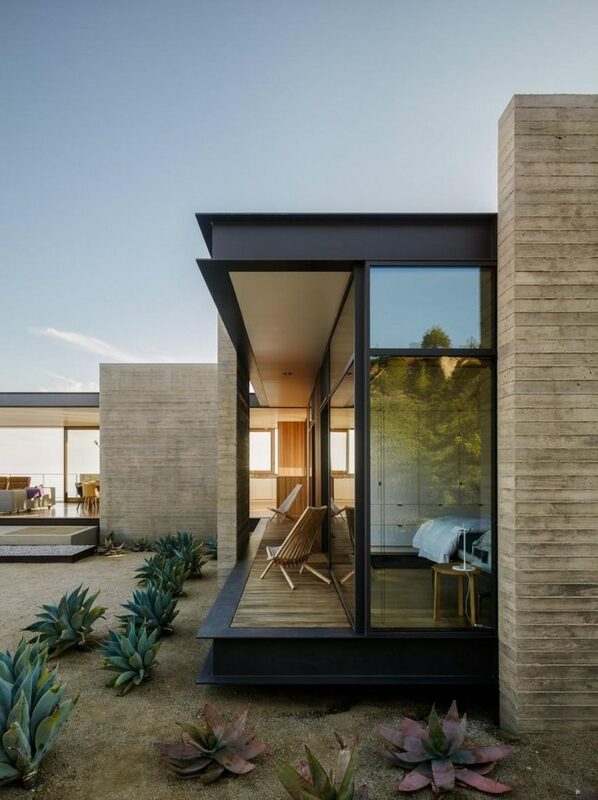 Mountain and desert hues make up the majority of the 2,400 square foot homes exterior, while solid wood prevails in the homes interior, extending outside in some parts, seamlessly tying the homes two sides together. Horizontal and vertical lines run throughout the home, inside and out. 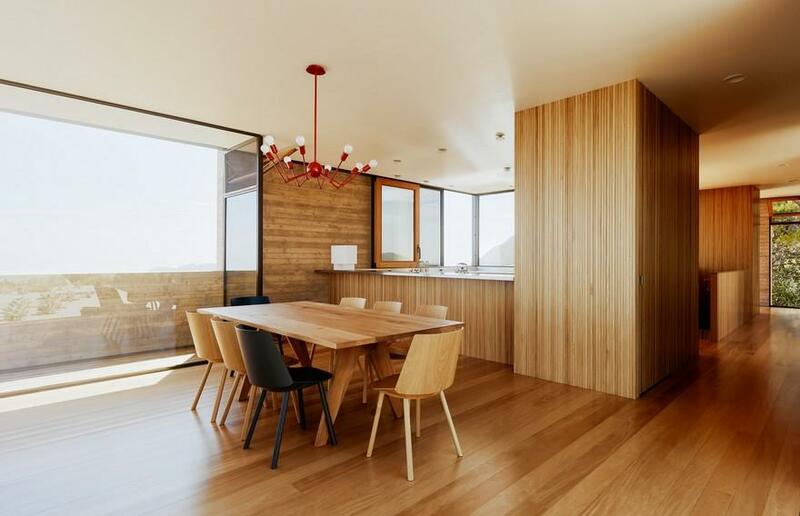 In the kitchen, the wooden floor and end wall boards are horizontal, while the wooden panels of the kitchen island and its end piece run vertically. This pattern has been thought down to every last detail, such as the kitchen table, which bears the same pattern. 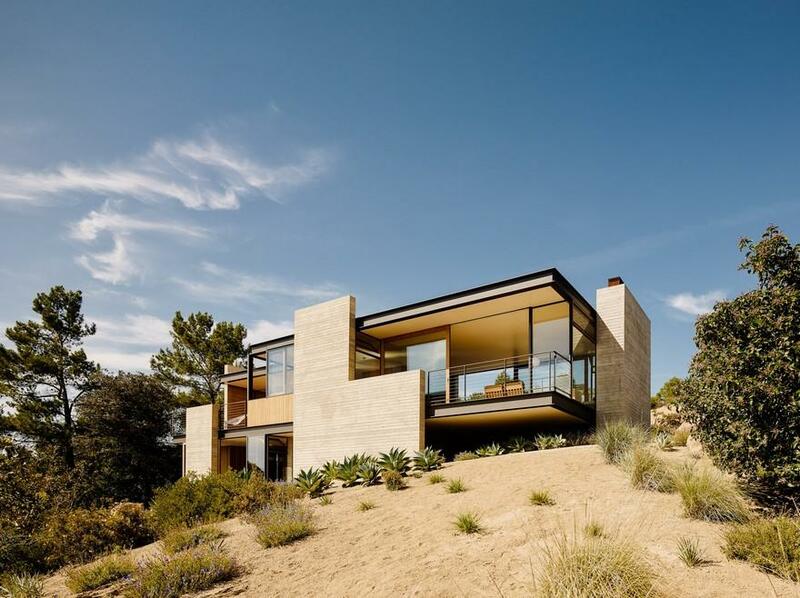 Outside, the desert’s grey and sandy hues are reflected in the modern contemporary homes exterior. 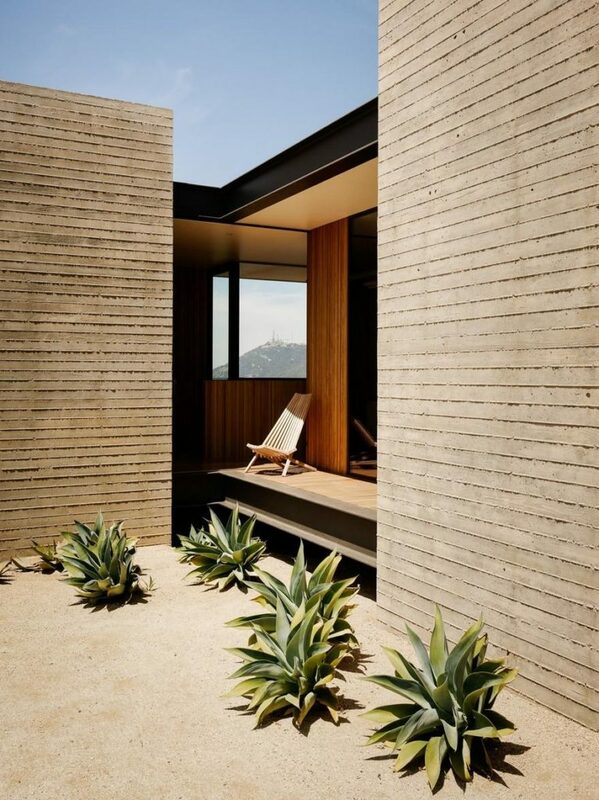 One of the greatest hurdles in constructing this home was the placement of the 14 board-formed concrete walls, rising from the rocky terrain of the Santa Monica Mountains. 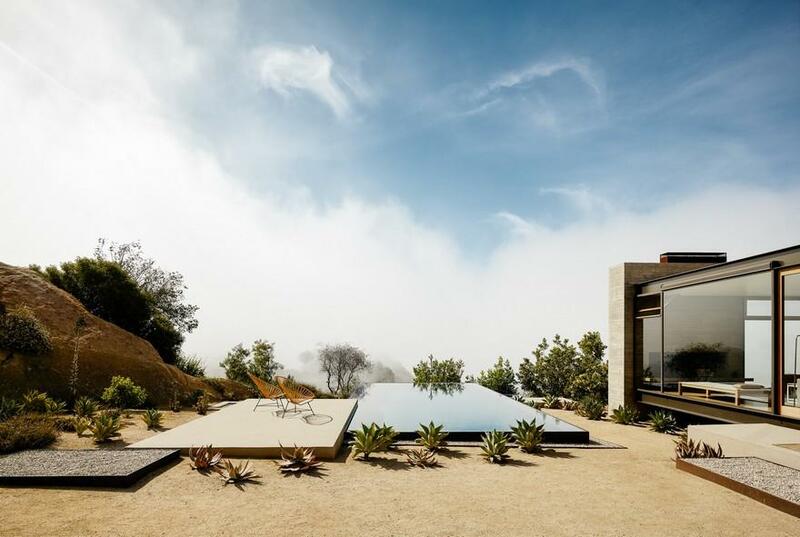 The main house is in the shape of an L, encompassing a courtyard with an infinity pool next to an elevated stone plateau for sunbathing and relaxing, overlooking the gorgeous view below. 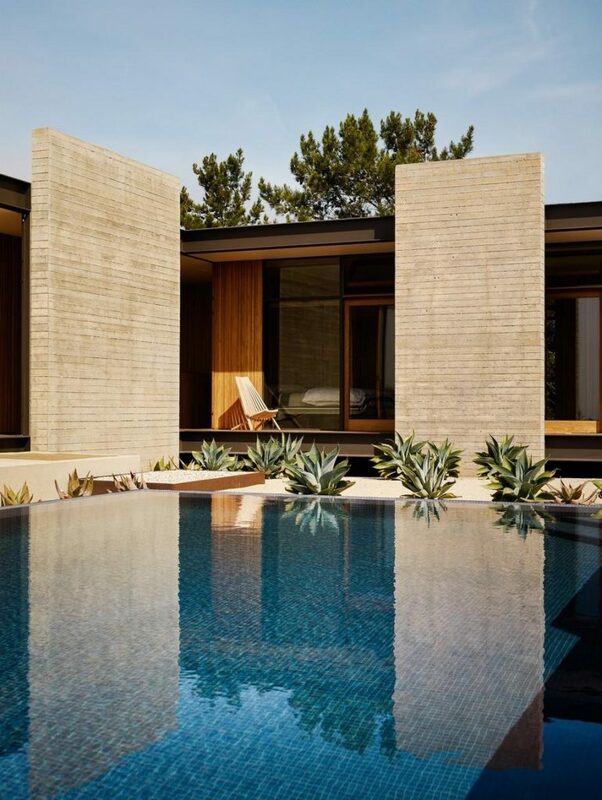 The home is surrounded by desert shrubbery and rectangular pebble gardens embellish multiple areas of the inner courtyard, including the edges of the infinity pool. 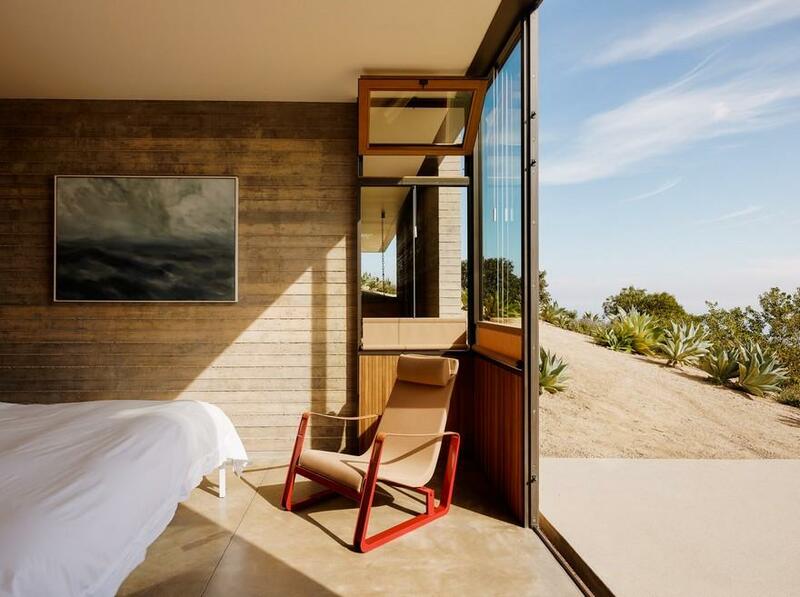 The colors of the surrounding landscape are repeated in the master bedroom, which bears sandy marble flooring and a cement wall. The floor to ceiling windows slide open, seamlessly blending the indoor with the outside. 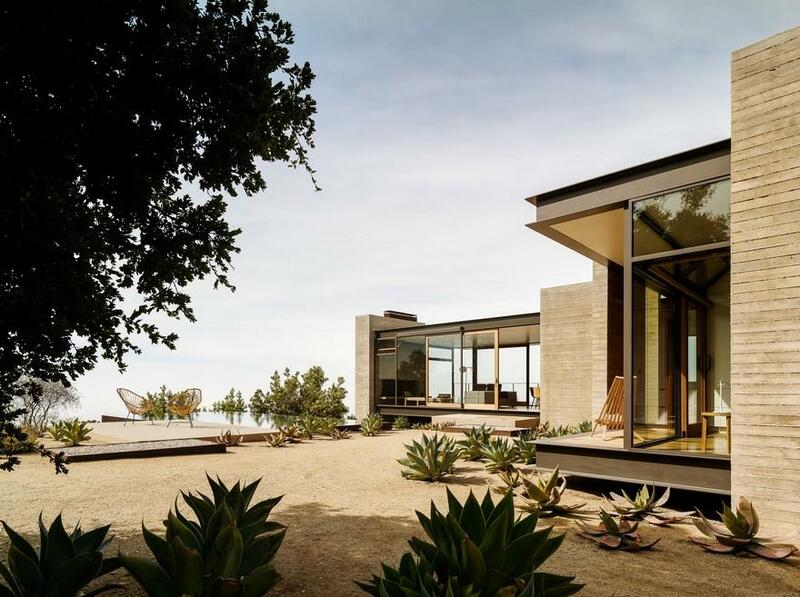 Thanks to the ridge it stands on, Saddle Peak House luxuriates in privacy and remoteness from the busy outside world. 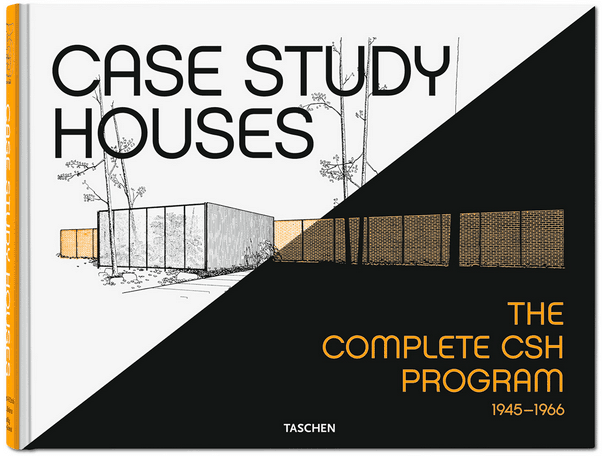 In all its glory, this contemporary home design is a dream come true.